An emergency meeting has been called by India’s government as Jet Airways, saddled with more than a billion dollars of debt, dives further out of control. Forced to ground half of its fleet, hundreds of flights are being cancelled, some at the last minute, which is leaving angry passengers stranded. Jet has more than 100 aircraft and flies 600 domestic and 380 international routes, with a workforce estimated at 23,000. But at least 50 of these planes have been grounded, the BBC reports. The airline has delayed payments to banks, suppliers and lessors, some of which are now cancelling their lease deals. So with passengers demanding refunds and pilots threatening to strike over unpaid wages, India’s civil aviation minister, Suresh Prabhu, has called for emergency talks. A union says the pilots will stop flying from April 1 if no rescue plan is in place by then. At the heart of the crisis is the airine’s founder Naresh Goyal, the BBC says. 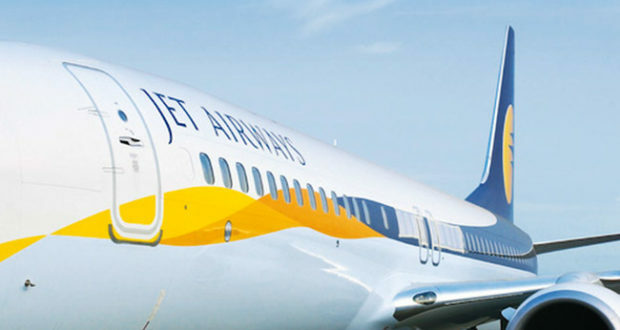 Etihad, which owns a 24% stake in Jet Airways, had earlier agreed to inject more money and take control of the carrier. But the deal stopped when Goyal refused to resign as chairman. Etihad is now looking to sell its stake. It was a similar story late last year when India’s largest conglomerate the Tata Group said it would buy into the airline but back out when Goyal refused to step down. A recent plan to sell a majority stake in the debt-stricken, full-service carrier for just one rupee, the equivalent of just over 1 US cent, also went nowhere. Goyal and his family own a majority stake in the airline, but potential investors say this must change before buying into the business.